'Asteroid Impacts: How Hollywood Misses Reality,' presented by Russell Schweickart, takes place Sunday, April 22, at the Rafael Film Center. 1118 Fourth St., San Rafael. 7pm. $12. 415.452.1222. T-MINUS ONE The earth could very well be hit by an asteroid, says Rusty Schweickart, but it won't be like it is in the movies. 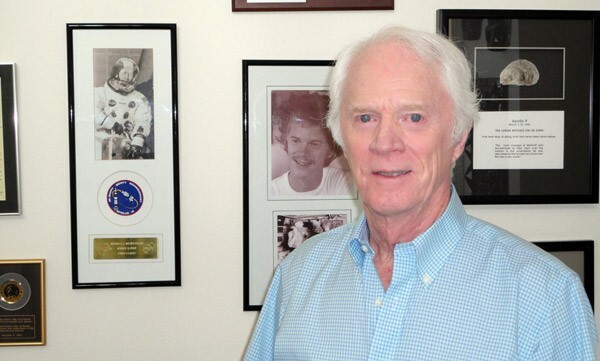 As a decorated astronaut, Russell "Rusty" Schweickart can forgive a bit of artistic license taken with the science in some space movies. But when he sees it taken to extremes, he says, it can shape public perception, which can also shape government action—and that is a dangerous prospect. "When you're talking about something that potentially deals with real possible events, such as asteroid impacts on the earth, then those misunderstandings can be really harmful, frankly," says the Sonoma resident, who piloted the lunar module in the 1969 Apollo 9 mission. Schweickart's career includes degrees from MIT and service as a jet pilot in the Air Force before starting with NASA. During the Apollo 9 mission, he was the first to test the Apollo lunar module, which was later used by the first men to land on the moon. He saved the Skylab space station from failure in 1973, and that year was honored with the NASA Distinguished Service Medal and the NASA Exceptional Service Medal. Though Schweickart is mostly retired these days, he gives a 90-minute illustrated lecture at the Rafael Film Center in San Rafael on April 22 to explain why the science in Hollywood blockbusters like Armageddon and Deep Impact is wrong and, furthermore, why that can be dangerous. "There's a lot of embedded misunderstanding that has to be overcome when you're dealing with a real threat and something that can be done about it by society," Schweickart says. Currently, there are plenty of real threats—401 near-Earth asteroids, or NEAs, that we know of today. Of those, the one with the greatest chance of hitting this planet, named AG5, has a one in 500 chance of doing do. Schweickart likens it to the odds of getting in a car accident in the next three weeks. 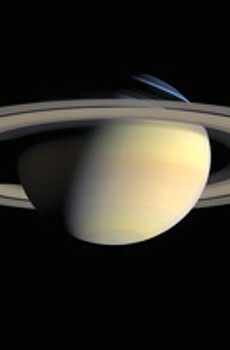 It's predicted to hit on Feb. 5, 2040, Schweickart says, and we will know for sure by 2023 when it comes closer to Earth. If at that point it passes through a small region in space—a "keyhole"—then it's all but certain the asteroid will hit the planet on its next trip to Earth, in 2040. Twenty-eight years may seem like plenty of time to plan for such an occurrence, and it is, but funding has to be allocated beginning in the next few years. The organizations with which Schweickart has been involved in his post-NASA career, including the NASA Advisory Council Ad-Hoc Task Force on Planetary Defense, are dedicated in part to this very problem. But defending the planet isn't just about raising money. There are multiple fights in Schweickart's battle. A project to deflect an asteroid may only cost about $1 billion (paltry when considering other recent government expenditures). But if an NEA were to hit Earth, where would it land? Who would be most affected, and who would be responsible for preventing it? Or, as Schweickart asks, "Whose money? Whose taxpayers?" He does not doubt at all that it will be possible to deflect an asteroid, from a technological standpoint, by the time it is deemed necessary. One foundation he headed for about 10 years was the B612 Foundation, which is striving, among other goals, to develop and deploy an infrared telescope into solar orbit to search for asteroids. But society itself may be the bigger obstacle. "The geopolitical issues are, in many ways, much tougher than the technical ones," he says.